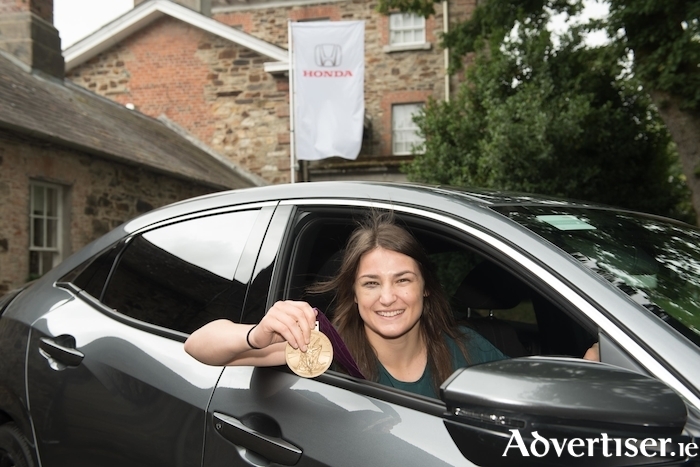 The Honda cars importer for Ireland has announced that sporting superstar Katie Taylor has joined the Honda as a brand ambassador. The multi-World and Olympic gold boxing medallist, who turned professional and is currently the IBF & WBA World boxing champion, collected her new Honda Civic hatchback at the launch of the new Honda Civic four-door sedan. Director of sales and marketing for Universal Honda Ltd, John Saunders, says the company is delighted and honoured to have Taylor as an ambassador.